May 8, 2010. Photos by Sisters of the Precious Blood. 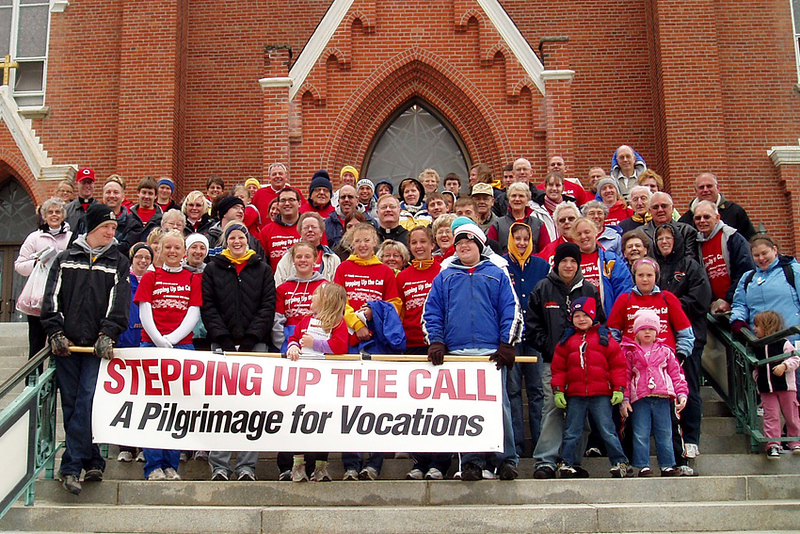 Eager pilgrims pose for a photo on the steps of St. Augustine’s Church in Minster, Ohio. They began with morning prayer before taking to the roadways. The annual pilgrimage took walkers (and riders) to up to eight churches and holy sites, where they prayed, heard witness talks on different kinds of church vocations, and enjoyed snacks and lunch. Photo by Sister Noreen Jutte, C.PP.S.